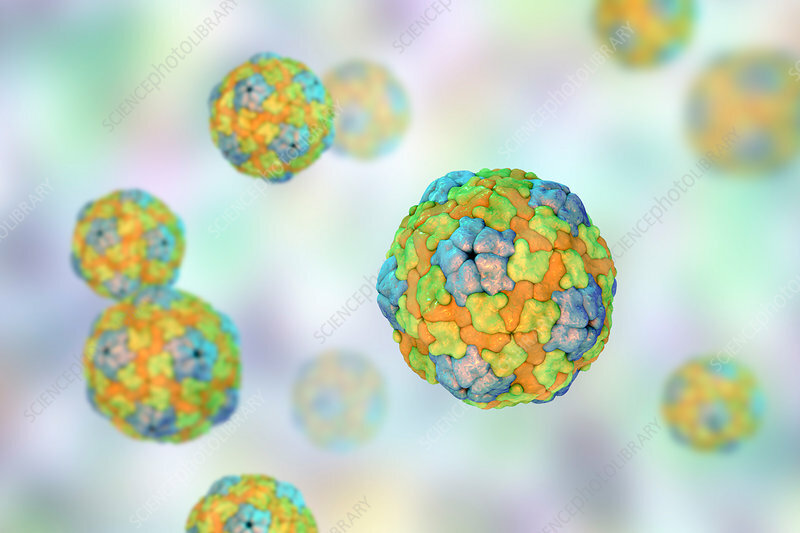 Salivirus, computer illustration. Saliviruses are non-enveloped RNA viruses from Picronaviridae family. Saliviruses were recently discovered in children with gastroenteritis.